What Would Happen If We Switched to Electric Cars Tomorrow? Britain wants to lead the way when it comes to adopting low-emission electric vehicles. The government’s ‘Road to Zero Strategy’ outlines their target of 50% of new car sales and 40% of new van sales to be ultra-low emission by 2030. This will include investments in additional charging points and the development of low-cost and innovative on-street charging technology to facilitate electric vehicle owners. By choosing an electric car you’d be helping to reduce the release of harmful exhaust emissions in the environment, which would consequently have a positive impact on our health. We would also see a positive impact on our mental health – electric vehicles are much quieter than petrol and diesel cars so noise pollution would be reduced too. So, with electric cars we’d be kinder to the environment as well as our ears! If we all decided to switch to electric cars tomorrow, could the UK’s infrastructure cope? Although most car manufacturers already have hybrid and pure electric models in their range, they would have to scale up to mass electric vehicle production and invest in facilities quickly if we were to make the switch overnight. The same goes for the automotive supply chain too; the companies creating the individual components within cars, like RS Components, would need to innovate quickly to meet the increased demand in electric vehicles. With purchase price and depreciation, fuel, insurance, tax and maintenance all taken into account, pure electric cars have been found to be the cheapest option for car ownership. Electricity is cheaper than petrol or diesel so they have lower fuel costs and the engines are simpler, therefore the maintenance costs are lower. 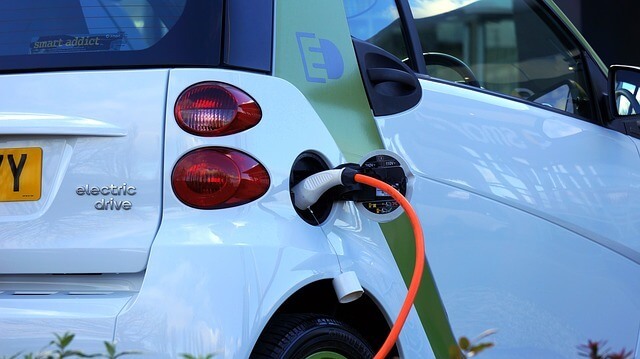 In the UK, the annual cost was around 10% lower than petrol or diesel cars, which means electric car owners would enjoy extra pocket money if they were to make the switch tomorrow. Obviously it’s unlikely that we’ll all wake up and decide to make the switch to electric cars tomorrow. However, with lower running costs and fewer harmful emissions, 2040 can’t come quick enough – we just need the National Grid and car manufacturers to catch up faster!